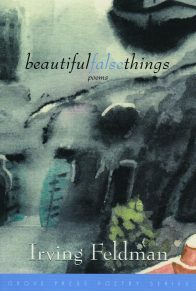 Irving Feldman, the author of Beautiful False Things, has received MacArthur, Guggenheim, National Endowment for the Arts, and Ingram Merrill fellowships as well as the Fellowship of the Academy of American Poets. 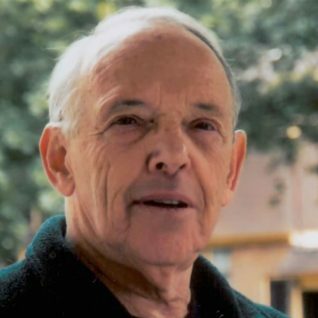 Among his earlier collections, The Pripet Marshes and Leaping Clear were finalists for the National Book Award, as was All of Us Here for the National Book Critics Circle Award and The Life and Letters for the Poets’ Prize. His poems have appeared in numerous periodicals and anthologies, including The New Yorker, The Paris Review, The Best American Poetry (1995, 1997, 1998 ), and The Best of the Best American Poetry. He is Distinguished Professor of English at the State University of New York at Buffalo.